Creating an easy watercolor background using Distress Oxide inks. Hello, all! So sorry for the delay in today’s video! I’d hoped to get this up yesterday, but time got away from me. 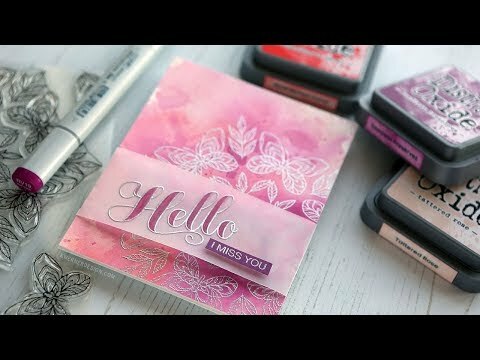 🙂 Anyhow, in today’s card video, I played with Distress Oxide inks again–this time with water!